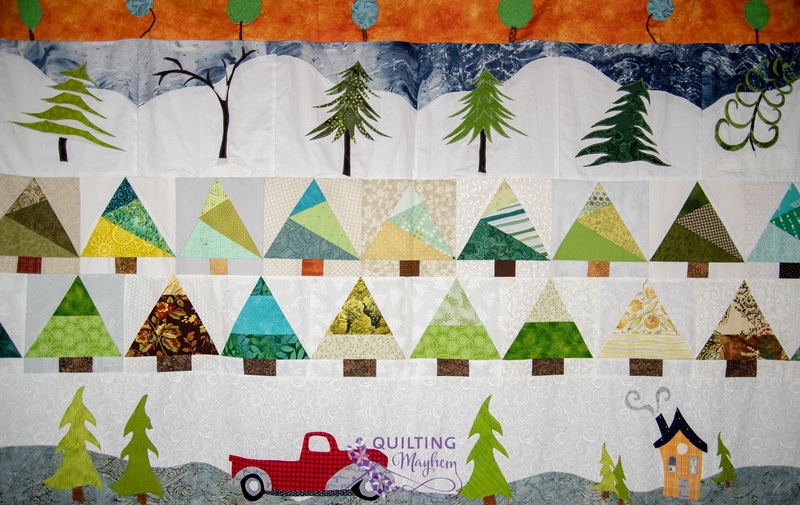 Every participant chooses a theme for his or her own quilt, then supplies the first row as well as some general guidelines for the other quilters as they add rows. At each monthly meeting, we’ll exchange quilt tops/rows so you’ll have a new one to work on. There will also be a show-and-tell so you can share your story as to what you added to the quilt you had the previous month. But there is a twist! You step out of the room when your own quilt top is shown, so you don’t get to see it until the big reveal at the very end of the exchange! The informational meeting on December 9 is free, so come and check it out! Starting in January, there will be a one-time charge of $50 for six months. If you would like to join, you must sign up at the December meeting. We are sorry to say we cannot accept any latecomers. The exchange will last between six and eight months, depending on how many participants we have. Row Robins are a great way to make quilty friends, get you out of your box, and try something new!